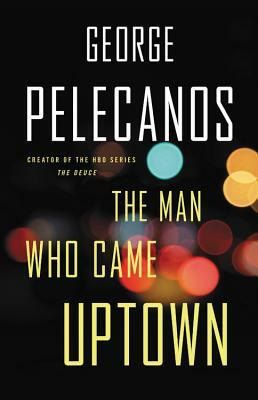 George Pelecanos’ The Man Who Came Uptown is a book partly about books. Its protagonist, Michael Hudson, has come out of jail with a love of books and a hunger to get his life straight. His goals are threatened by the man who got him out, PI Phil Orzanian, who threatens to put him back in if he doesn’t help him in his sideline of robbing pimps and drug dealers. While Michael struggles to escape the situation, we also see how he escapes his day to day through reading. We caught up to the author of our Pick Of the Month to talk about his book and books in general. MysteryPeople Scott: One of the reasons why this is going to end up as one of my favorite books of the year is that it looks at the power of books. What did you want to explore about that? George Pelecanos: I’ve been doing reading programs and leading book club discussions in prisons and jails for many years. I’ve seen first-hand how books can broaden minds and make people happy. Beyond that, this one was personal for me. Without going into unseemly detail, I was pretty rudderless when I was young and I saw trouble. Then a teacher turned me on to novels. It changed the direction of my life. MPS: Some of my favorite moments is how Michael interacts with a certain title he’s reading. How did you approach those characters moments? 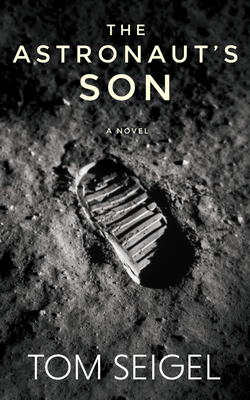 GP: The novels that Michael reads force him to look at his life, and how he leads it, differently. Willy Vlautin’s Northline, for example, teaches him the importance of small kindnesses. It causes him to forgive someone at a crucial moment in the book. The implication is that reading can make you a better person because it takes you into the minds of people you might otherwise never have met. “Try to understand each other” is the important Steinbeck quote in the book. Obviously those words impact Michael Hudson. MPS: Phil Orzanian is an interesting antagonist. He has an Elmore Leonard quality to him. While I want Michael to get out from under him, he doesn’t come off as a villain and more like a guy who has been playing with fire for too long. Has there a certain idea you had in mind when constructing him? GP: At the end of the chapters where Ornazian and Thaddeus Ward commit crimes, their internal monologue is always about the anticipation of seeing their spouses or children. There are few pure villains in my books or in my screen work. People do bad things but they often rationalize the reasons for their behavior. Ornazian deeply loves his wife and kids, and he also robs drug dealers and pimps. Both sides of him exist at once. MPS: True Grit is one of the books Michael escapes into and you’ve mentioned it in interviews as a favorite. What makes it such a great book to you? GP: The story is fantastic, a rousing adventure. The prose shines. The narrator is an optimist but the feelings invoked are of tragedy. It successfully tackles the subject of the passage of time, which is the big mystery we all grapple with. But mostly it’s the voice of Mattie Ross. Charles Portis completely inhabits her. I’ve read the book many times and it’s always a thrilling experience. MPS: What were some of the books that had an influence on you as a writer? GP: Many are mentioned in this book. I continue to be an Elmore Leonard fan and marvel at what he left us. Steinbeck, with his humanity, is still a favorite. James Salter’s Light Years left a big impression on me. The best book I read this year was The Flamethrowers by Rachel Kushner. It had ambition and she achieved it. By influential, I don’t mean to claim that I can write like any of these people. But I can have aspirations. My goal, always, is to be a better writer. MPS: I have to ask on behalf of my customers and myself if Spero Lucas will be coming back in a new book down the road? GP: I’d like to revisit the character. If he knocks on that door in my head, I’ll answer it. I’m insatiably curious about people and the things that go on around me. Sometimes I see things on my morning walks, for example, that strike me as odd and pique my interest. Below is an example, but let me preface my tale with a caveat. To the police, our lower Westwood neighborhood is one of the safest in L.A.—although it might sound not so safe to someone living, for example, in a small-town in the Midwest. Lately, we’ve had been a scattering of home burglaries and a few street robberies. But most criminals working the area have taken to stealing from cars. The latest wrinkle in car-related crime involves night-time theft of auto parts, like tires and airbags, sometimes catalytic converters. For those of us with homes so old that our garages can’t accommodate modern vehicles, cars have to be left in the driveway or on the street. So we lock them up and hope for the best. But I’m talking about another type of crime. I witnessed it on a day when I set out to mail a letter. Although the mailbox is only a block away, I drove because it was my first stop in a round of errands. A young man, late teens to early 20s, was at the mailbox. He was wearing a T-shirt and khakis, and he looked clean-cut. Besides, it was mid-day. Broad daylight. No alarm bells went off in my head. As I drew closer to the mailbox, I noticed something odd. Instead of depositing mail, he was pulling out envelopes, a few at a time. He had a wire that looked as if it had been fashioned from a coat hanger. He was using it to poke in the box and snag mail. When I realized what was going on, I decided not to stop. Instead, I circled the block and came back, parking a few houses away from the mailbox. I pulled out my cell phone and called 911. After the usual “what-is-your-emergency?” greeting, I explained that I was, at that moment, witnessing a crime. Even as I said this, the young man had stopped rifling in the mailbox. He’d stepped back and was now scanning the street, as if he expected someone to pick him up. The 911 operator told me that a crime involving mail wasn’t an emergency, but she would transfer me to someone who would know what to do. I went through several connections, each one seemed puzzled by my complaint. Finally, the last person I spoke to said that a mailbox wasn’t within the preview of the LAPD; it was the property of the U.S. Postal Service, and thereby a federal matter. He gave me a phone number so I could report the problem to postal service. Meanwhile, the young man, apparently giving up on his ride, was looking around, consulting his watch. He didn’t see me, or if he did, he didn’t give any indication. I dialed the number for the USPS. Ten minutes or more had passed since I’d first spotted the ongoing crime. But the young man was still on the corner, and I’m not one to give up easily. When I reached the number I’d been given, I realized it was the general information line for the postal service. The automated voice asked me which language I spoke. In some frustration, I pressed “one” for English. Then it asked if I wanted to track a package, get post office information, ask for re delivery. I was encouraged to sign up for more information at myuspc.com. Finally, I was asked to say in a few words what I wanted. The young man had started to walk away, taking his time, not in any great hurry. I kept at it, trying to make the automated call system understand that I wanted to report a mailbox break-in. I’d just about exhausted synonyms for “break-in” when a live person came on the line. By now the perpetrator had disappeared. The man at the postal service listened to my story, then asked for the postal box’s location. He said he’d report it to the local supervisor for my area. I realized that he was somewhere else, maybe in Des Moines, or even Washington, D.C.
Later, I contacted my neighborhood association and learned that people had been complaining that they were unable to use their local mailboxes because someone had put a sticky substance in the mailing mechanism, so envelopes got stuck and did not actually drop into the mailbox. Obviously, this was a more sophisticated approach than using a bent coat hanger. The next issue of the neighborhood association’s newsletter gave a list of sticky mailboxes. Ours was on the list, even though glue had never been the problem. With that, I decided that my career as a crime fighter was over. At least for me, writing fiction about crime is more rewarding. Nancy Boyarsky’s latest mystery, Liar Liar, featuring private eye Nicole Graves, can be purchased at BookPeople. We are excited to have Sara Gran join us at BookPeople tomorrow. She is a first class author, creating one of the most unique detectives in crime fiction today, Claire DeWitt, who fits the Nancy Drew mold, with a lot of dark undercurrents, — a young woman who grew up to be a professional private detective. In her latest, Infinite Blacktop, someone from Claire’s past is out to get her and it is tied to two other mysteries in her past, one being the disappearance of the teenage friend she solved mysteries with. Sara was kind enough to sit through an interrogation with us earlier. MysteryPeople Scott: Usually a series detective character is entrenched in a city, but you have moved Claire DeWitt about in each book. Is there a particular reason for that decision? Sara Gran: I keep moving! Life certainly takes you in strange directions, literally and metaphorically. Also, given that place is always a big character in detective fiction, it makes sense to push my character (Claire) up against these other characters (different cities and places) and see what comes from the meeting. 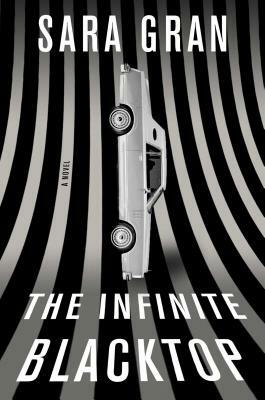 MPS: The Infinite Blacktop is a detective mystery that looks at the idea and concepts of mystery and detection. What did you want to explore in those ideas? SG: I think the idea of the mystery that needs to be solved is a very central metaphor for our time. You’ll notice that when storytellers — writers, newscasters, politicians, doctors — want to interest their audience in something, they will often frame it as a whodunit. I also think the linguistic and historic link between mystic and mystery is not to be underestimated. MPS: As with many of your books, Claire is dealing with her past. What draws you to people with damaged histories? SG: I don’t think I’ve ever met anyone without some damage in their history. MPS: What I enjoyed about these books is that they are somehow both gritty and ethereal, like we’re on the edge of reality. Did that come to be as an attempt to build the mood or simply grow from Claire and her world? SG: Thank you for a really interesting question I’ve never been asked before. The answer is both: the two desires — the desire to build a specific, evocative, slightly magical world that hopefully provokes some thought and emotion in the reader about their own world, and the desire to be absolutely true to this character as she presents herself in my brain — inform each other and work together to create the world of these books. MPS :As a writer, what has made Claire DeWitt worth coming back to as a character? SG: Everything that fascinates me in life is wrapped up in this series, so both the character and the world are more interesting to me all the time. Originally I thought I’d stop after four books, but now I think I’ll write this series for the rest of my life. With Boston authors Edwin Hill and Scott Von Doriak coming this Saturday, we found a bean town crime tale from Akashic’s Mondays Are Murder site. Here, author Frank Possemato describes the most dramatic moment of a hood’s life in one paragraph. 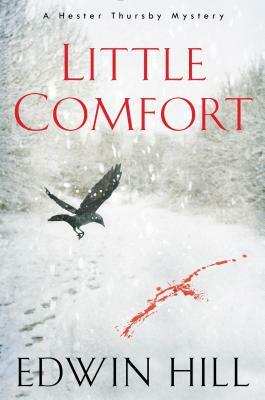 Edwin Hill’s Little Comfort introduces us to Hester Thursby, a librarian who uses her research skills to find missing persons as a side hustle. 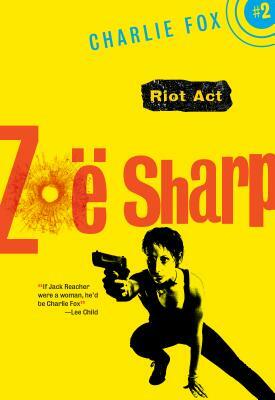 Her latest job has her dealing with family secrets, false identities, and more than a few gunshots. Mr. Hill , who will be with Scott Von Doviak on September 22nd at 6pm at BookPeople, was kind enough to take some of our questions in advance. MysteryPeople Scott: How did Little Comfort come about? Edwin Hill: Do you remember the Clark Rockefeller case? He was that guy who claimed to be a member of the Rockefeller family and married a successful business woman, and then went on the run with his daughter when everything unraveled. And it also turned out he’d murdered people. I was fascinated by that story, and one day when it was all over the news I sat down and wrote a scene about a guy who’d been impersonating someone (I wasn’t sure who) and needed to leave town. The character’s name was Sam (no last name) and I knew I wanted him to be a sort of Tom Ripley-like antihero. Like Clark Rockefeller, I also knew I wanted him to be someone who could charm his way into any situation. But that’s all I had, and that scene sat on my computer for about two years before I did anything with it. Once I started working in earnest, I added in a foil for Sam, and the protagonist, Hester Thursby, was born. Hester is a librarian at Harvard’s Widener Library who finds missing people as a side gig, and her case in this story is to find Sam. Sam doesn’t want to be found, and things go downhill from there! MPS: I also have to ask how you came up with your protagonist’s name, Hester Thursby? It is almost from another era. When I came up with Hester as a character, I didn’t know much about her besides that she was a single woman with a child so the first names that flashed through my mind – and this is so pretentious it makes me want to throw up in my mouth – were Hester, for the woman, and Pearl, for the child. I quickly (and I mean the next day) changed the girl’s name to Chloe, and then changed it again to Kate. I liked the name Hester, though, and it stuck. MPS: The book deals with the past’s relationship with the present. What did you want to explore in that idea? EH: There are three main characters in this novel: Hester, Sam, and Sam’s best friend, Gabe DiPursio. They are each haunted by things that have happened to them in the past, but they all choose to move forward in different ways. (For more on that, see this terrific review on BOLO Books. Some of the people in this book do really terrible things to other people, but I didn’t want that to be what this book was about. I wanted to be sure to separate the action of the character from the humanity of the character. Every person on earth has something good and worthwhile at their core, or at least that’s what I believe. When I focus in on that good, it makes the contrast of terrible actions and decisions all the more powerful. MPS: This being a debut, did you draw from any influences? EH: Sure! Like most writers, I read all the time. One of the influences for this book is Patricia Highsmith’s The Talented Mr. Ripley, but there are other influences as well. When I first wrote that scene I mentioned above, the one with Sam escaping town, I happened to read Kate Atkinson’s Case Histories. I was inspired by the way she mixed genres – mystery and literary – and was able to infuse so much humor into the Jackson Brodie series. She also really tore apart the structure of a “mystery” novel and made it something completely unique. I’m inspired by the humanity in Louise Penny’s Inspector Gamache series. One novel that I read regularly (maybe because it’s short!) is The Prime of Miss Jean Brodie by Muriel Spark. She is such a craftsman, and is able to move through time so effortlessly in that novel. I like to read it to remind myself what’s possible. MPS: You’ll be doing an event with us on the 22nd with Scott Von Doviak and another Boston native with a book set there. There is rich tradition of crime writers from your city, Lehane, Parker, George V. Higgins. What makes Boston great for crime fiction? EH: I think there are a lot of reasons. Boston is a beautiful town filled with iconic landmarks, to start, which always makes for good storytelling. Scott, for example, makes great use of Fenway Park and the Back Bay area of Boston in his novel. 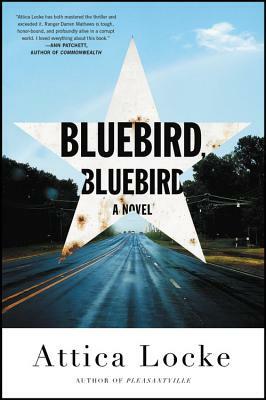 Because his novel is set in three distinct time periods, he’s able to pull in many of those sites and neighborhoods, like Dewey Square, that have changed with city. Those details give his novel a fantastic texture. New England has a varied landscape too, going from urban to rugged very quickly, which is one of the things I use in Little Comfort, where much of the action takes place in rural New Hampshire in the depths of winter. MPS: What do you think is the biggest misconception of the city? EH: When I think of Boston in the media, I think of crime (The Town), education (The Paper Chase), and rabid sports fans (Fever Pitch). But like most places, Boston has many sides. One of the reasons I set Little Comfort in Somerville, was because it shows a different part of the metro area. Somerville (which used to be nicknamed Slumerville) is diverse, with people from all different backgrounds. It’s vibrant, and a very accepting and open community. And like many urban areas in the country, like Austin, Somerville is experiencing a boom, which is creating tensions between older residents and the new people moving in. I hope to explore that in a later book in the series. At the same time, Somerville also has many of the elements that people think of when they think of Boston. It’s right next to Cambridge, so you still feel the glow of Harvard, but with a bit more grit. Whitey Bulger’s Winter Hill Gang was named for a neighborhood in Somerville. And the Boston Garden and Fenway are each only a T ride away. So maybe there is some truth in those media images! Scott Von Doviak’s Charlesgate Confidential is a one-of-a-kind read, with three storylines of different periods in Boston’s Charlesgate building that affect one another. Von Doviak binds them together with a liberal use of the city’s history and lore. Scott will beat BookPeople along with Edwin Hill (Little Comfort) Saturday September 22nd at 6pm to discuss and sign their books. He was kind enough to take some questions from us earlier. MysteryPeople Scott: Charlesgate Confidential is a very unique book. How did the idea for it form? Scott Von Doviak: Several ideas came together. I’d been wanting to write about the Charlesgate building in Boston for some time, both because of its fascinating history and because I’d actually lived there in the ‘80s when it was an Emerson College residence hall. I wanted to come up with a story that could encompass several different eras in the building’s history, but I also wanted to write a crime novel rather than a ghost story (which would have been the obvious way to go, given the building’s haunted reputation). Incorporating a fictionalized version of the Gardner Museum heist solved some problems, especially once I decided to move the heist back in time from 1990 to 1946. I really liked the idea of telling the story in a nonlinear way, by rotating through these time periods, sort of like solving a Rubik’s Cube twist by twist. At first you wouldn’t see any connection between the stories aside from the building, but as you go along, all the pieces slide into place. MPS: How did you handle juggling the three time periods? SVD: I didn’t have a spreadsheet or a True Detective wall with note cards and string or anything like that. It was all pretty intuitive. It was more fun that way because I would leave myself a little cliffhanger at the end of a 1946 chapter and then I’d move on to 1986 and 2014, which would give me time to think about what should happen next back in the ’40s. The way the time lines dovetail was kind of tricky, because I had to time all the revelations just right and make sure I didn’t give certain things away too early. So there was some trial and error involved, but that made it exciting for me. MPS: Was there any Boston history or lore you wanted to get in there but couldn’t? SVD: I considered some other things, notably the Coconut Grove fire in 1942, but in the end I felt like I had enough for this story. I flirted with incorporating the Red Sox 2004 World Series run, but that would have felt like overkill. There’s certainly plenty to explore, though. I don’t know that I’ll ever write a sequel, since this novel is very self-contained, but one idea would be to explore some different eras in the Charlesgate’s history, which stretches back as far as 1891. I’d need a good story to pull it together, though. MPS: So many great crime novelists come from Boston like Robert B. Parker, George V Higgins, and Dennis Lehane. What makes the town such a hotbed for crime fiction talent? SVD: Well, the city does have a noir-ish quality, particularly in the fall when the temperatures drop and the nights get longer. 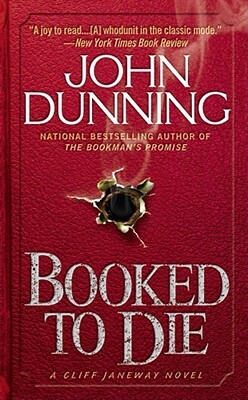 There are plenty of famous crimes and criminals—the Brinks Job, the Boston Strangler, Whitey Bulger. But I attribute most of it to Higgins. The Friends of Eddie Coyle is the ultimate Boston crime novel (and movie), and along with his follow-ups Cogan’s Trade and The Digger’s Game, really set the template for Boston as a crime town teeming with colorful characters. Higgins was a huge influence on Charlesgate Confidential, particularly the way in which story and character emerge from dialogue in his books. MPS: What is the biggest misconception about the city? SVD: Well, first of all, not everyone has that accent! I think our pop culture has become over saturated with one particular slice of Boston. You’d think everyone who lives there is either a criminal or an obnoxious sports fan, and sure, there are plenty of those. The friends I still have there are nothing like that, though. They’re artists and professionals and they don’t sound like Casey Affleck in that SNL Dunkin’ Donuts sketch. I confess, though, I do love the accent (maybe because I don’t live there anymore) and I’ll have a hard time not lapsing into a bad version of it during my reading. MPS: What are you working on now? SVD: I have a few things in various states of completion, and I’m not sure exactly what comes next. I definitely want to stay in the genre, and one thing I’m working on would be a series of books set in Austin that would sort of chart all the changes that have been going on here through the lens of crime fiction. 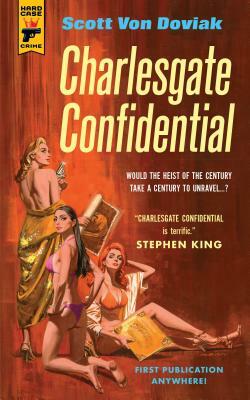 I don’t know whether that’s my next project, though—a lot depends on how things go with Charlesgate Confidential. Meanwhile, you can still find me at The Onion’s AV Club writing about your favorite (or maybe not so favorite) TV shows.